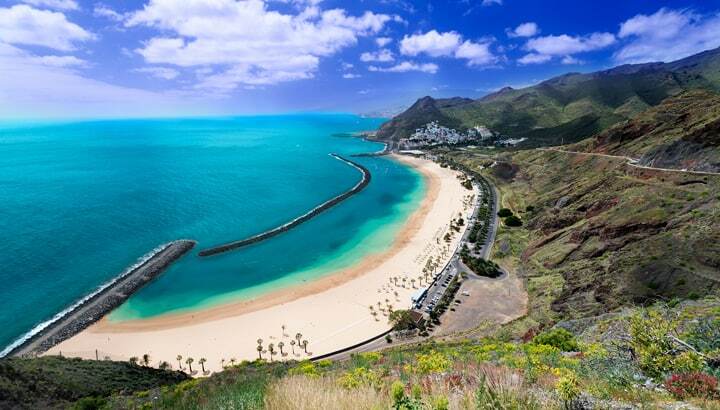 Planning a trip to Tenerife? Then our gay Tenerife island guide page can help you make the most out of your visit. The largest of the seven Canary Islands and the most populated island in Spain, with a land area of about 2,000 km². Tenerife also has the highest peak in Spain – El Teide, the third largest volcano in the world and a World Heritage Site. About 5 million tourists visit Tenerife each year to enjoy its beaches, natural environment, carnivals and nightlife. Tenerife is one of the last European paradise islands which offers everything from lush forests, exotic plants, deserts, mountains, volcanoes, beautiful coastlines and beaches. For gay rights in Spain, please see our Gay Madrid City Guide page. Whilst not on the same scale as nearby Gran Canaria, Tenerife does have a number of gay venues. In southwest Tenerife, the gay bars are concentrated in the Playa de las Americas. In the northeast, you’ll find gay venues in Puerto de la Cruz, La Laguna (the university town) and Santa Cruz (the capital city). Like the rest of Spain, hotels are as LGBT-friendly as it gets. The island has very few Gay Bars & Clubs and Gay Saunas. Several Beaches have a reputation for being more popular that others with gay guys. Being an island, most tourists arrive by air. 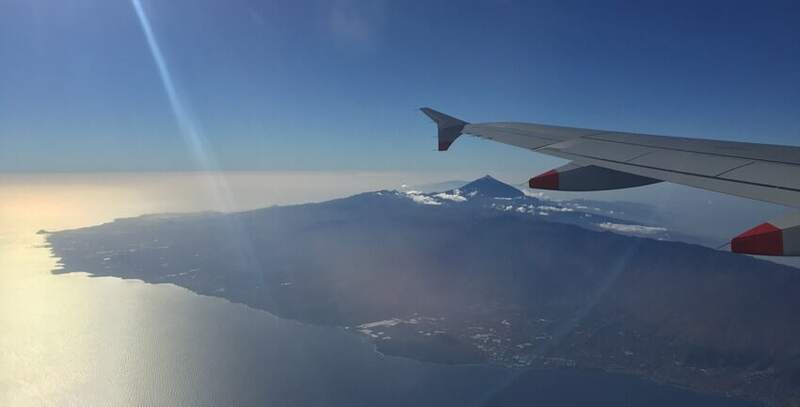 There are two airports, Tenerife South (Reina Sofia) near Los Cristianos and Tenerife North (Los Rodeos) by La Laguna. Most tourists fly into the south airport which is only a 20-minute taxi journey to the main resort of Playa de las Américas which should cost under €40 . Tenerife North airport takes about 40 minutes to Puerto de la Cruz (around €45). Buses run from both airports to other towns, though you may have to change routes. They stop around midnight and start again around 5-6am. Prices stretch from €2.65 – €9.45. It’s advisable to check on the airport websites to get a better idea. There are also ferries to the other Canary Islands, going to Gran Canaria from Santa Cruz de Tenerife and La Gomera from Los Cristianos. Tenerife really is an island that is worth exploring. The best way to do this is by renting a car for a couple of days. Tenerife’s best sights, such as the El Teide volcano and it’s lava fields, the beautiful village of Masca and the North Western Cape are best explored by car. Some of the island’s scenic routes are spectacular. The roads are well maintained, but be aware that many have steep climbs and numerous hairpin bends. Smaller cars with reasonably powered engines are best. Playa de la Tejita, the most gay-popular beach is also best accessed by car. Tenerife has a good road network, including an excellent dual carriageway (TF-1) along the south and west coast of linking up many of the most popular beach destinations. There are a good choice of car rental operators at both Tenerife South and North Airports. In particular, at Tenerife South Airport all the major car rental operators have super convenient parking bays just outside the airport terminal. We strongly recommend booking in advance. Small, compact cars are best as parking can sometimes be a problem. There is a cheap local bus network (called TITSA). TITSA buses cover most of the island and the buses are fairly frequent. Bus fares are cheap and you can calculate journey costs here. Or you can jump into a taxi which are reasonably priced, and taxi ranks are everywhere. Gay-popular areas are either Playa de las Americas in the south or Puerto de la Cruz in the north. 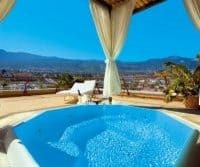 For our list of recommended hotels and resorts in Tenerife for gay travellers, visit the Gay Tenerife Hotels page. El Teide National Park – Explore the lunar landscape and get a cable car up to Mount Teide volcano (3,718 metres), the highest peak in Spain. Siam Park Water Kingdom – one of the biggest open-air water parks in Europe with rides and attractions. Masca – a beautiful forgotten picturesque village built into the side of the mountains. It’s like going back in time. 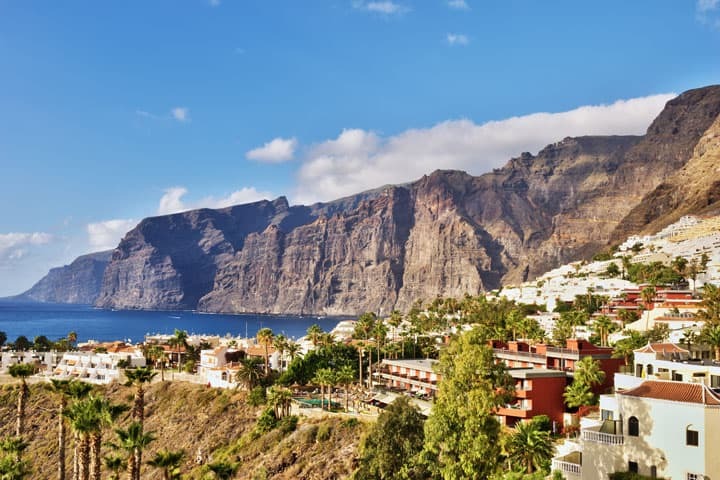 Los Gigantes (The Giants) – where you’ll find huge sheer cliffs that loom over a lovely resort with a chic marina. Loro Parque – a Puerto de la Cruz zoo, featuring exotic birds, gorillas, giant tortoises, aquarium, a fantastic dolphin, killer whale show and cheeky sea lions. 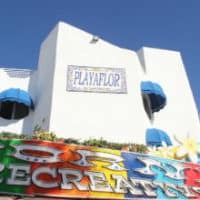 Playa de las Américas – a resort with great gay nightlife, restaurants and selection of beaches. Botanical Gardens in Puerto de la Cruz – beautiful gardens with 3,000 specimens of the world’s extraordinary plants and trees. Golf & Water Sports – There are 9 golf courses around the island and a huge amount of water sports including surfing, kite-surfing, wind surfing, big-game fishing, snorkelling and scuba diving. Tenerife is well-known for its moderate year-round climate with average temperatures around 25 degrees. That’s why it’s known as the “Island of Eternal Spring”. This means it’s a popular holiday destination all year round. From December to February, the island attracts huge number of older travellers from Northern Europe, seeking warmer weather. Our contacts in Tenerife advise that peak season for gay tourists is the hottest months from April to October.